Paros Luxury Hotels is brand new hotel group, consisting of the most luxurious accommodation in Paros, both hotels & villas. The hospitality in our hotels is not just about the luxury, it’s also about the people who make your vacation special and memorable. The level of our hospitality, professionalism and passion is combined with luxury, prime locations and view, making Paros Luxury Hotels #1 choice for vacation on our island. By booking you vacation in one of our hotels or villas, you will take advantage of our services and offers. Our concierge team will make all the necessary arrangements on your behalf. Romantic dinner, daily cruise or several activities, car rentals, just let us know what is your pleasure. In Paros Luxury Hotels, nothing is too much trouble as our guests are our inspiration. Spend a memorable vacation in Paros island and let us be part of it, by assisting you in any way. Paros Luxury Hotels consists of not just the most luxurious accommodations on our island, but also of the best hotels in Paros. You will discover the most highly rated Paros accommodations, because our hospitality is well-known among visitors from all over the world. Enjoy top comforts by choosing the best hotels in Paros, situated at prime locations of the island. The variety of experiences offered in our accommodations, covers all desires that Paros guests are looking for. Traditional yet modern interior, infinity pools, boutique experience, seafront and luxury villas are just a few of our aspects. Find our Paros Luxury Hotels near sandy beaches or close to picturesque spots of amazing coastal villages. Are you visiting Paros island with your family? You should know that our accommodations fit perfectly in the category Paros family hotels. In Paros Luxury Hotels, we believe that family vacation cannot be compared with anything else. Precious, bonding moments on Paros island, will be remembered by every member of your family. Let our Paros family hotels be a part of this priceless time. Our comfortable accommodations are a perfect fit for families with one child, as well as for a family of five. Surrounded by the crystal Aegean, where the horizon blends with the blue sea, your Paros holidays starts. In a place where tradition and local hospitality unifies with modern way of life, you will find our Paros Luxury Hotels that offer unique and incomparable Paros holidays. Our Paros accommodations offer perfectly designed services, which will offer you the perfect Paros holidays, after a long working season at home. Above all, the level of our hospitality was not left to chance and it is designed to relax our guests. It is our promise, that you will leave Paros island with a nostalgic feeling your heart. We would like to point out, that it would be an honor to accommodate you once again in one of our Paros Luxury Hotels. Paros island is one of the most well-known places in Greece. As a result of Its location, in the center of Aegean Sea, makes our island easy to reach. If you are traveling by a ferry from Athens, Paros island is only 4 hours away. If you like to choose an airplane, you will need only 30 minutes of flight from Athens. Paros island is also a strategic destination, if you are interesting in island hopping in Greece. 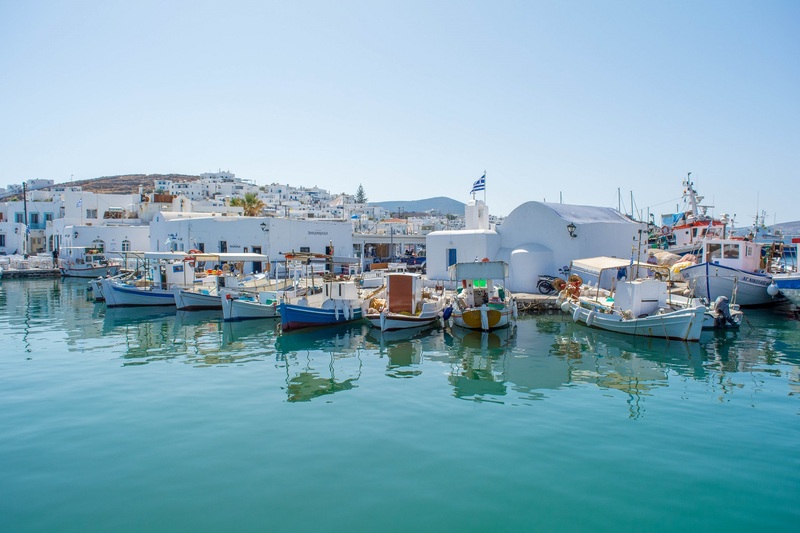 The main reasons travellers visit Paros island, are the sandy beaches, picturesque villages, delicious local cuisine and of course, warm and hospitable people. Our island is blessed by more than 40 beaches. Some of them are quite famous due to their beauty. You should not miss Kolymbithres beach, Santa Maria beach, Monastiri beach, as well as Marcello and Krios. One of the most picturesque villages in Greece is located on Paros island and it is called Naoussa. The narrow alleys and small, beautiful harbour with traditional fishing boats will be one of the most iconic places you will ever visit. You should know that Paros island hosts travellers of many interests from all over the world. Water sports enthusiasts are quite passionate about our location as a result of infrastructure and weather conditions. On the other hand architects visit Paros to discover our Cycladic way of building, both interior and exterior. Families are choosing Paros island due to harmonious coexistence of serenity and of places to go and have fun. This is one of the reasons that we also have young cultivated visitors. Paros island also offers less known types of tourism. People interested in Religious Tourism understand that our island exceeds their expectations. That is because of many churches with significant importance for the religion. Trekking and horseback riding are the two great activities to explore the nature of Paros island. If you are trekking enthusiast, you will enjoy many trails, which were also used by ancient inhabitants. To cycling lovers, Paros island is a perfect place. Due to our main road that circles our island without significant elevation changes, cyclists will be satisfied with their choice. For more extreme cycling, there are many roads and trails in Paros inland. 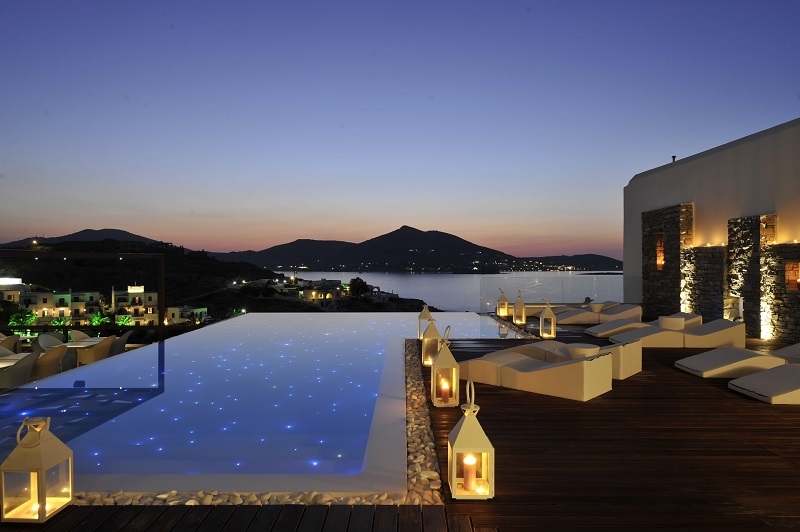 Paros luxury hotels is a new chain of top accommodations. Therefore, we are dedicated to offer the most luxurious services on the island. Above all, your well-being and unforgettable vacation on Paros island is the most important aspect for our Paros hotels. Most importantly, our highly train staff in Paros luxury hotels will assist you with exploration of Paros Island. Therefore, your stay will be stress free and accompanied by adventure. As we mentioned before our Paros luxury hotels is a collection of only the best hotels on our island. Therefore, prime locations with amazing view is an expectation for our guests. We will exceed them all and as a result you will enjoy amazing portrait from your balcony or patio. In our Paros luxury hotels, nothing is too much trouble. That is because our high quality of services is provided by inspired staff. Of course we did not leave this to chance. In other words, our way of managing includes love of hospitality and Paros. Therefore, vacation in Paros luxury hotels is a classy experience. As each member of our team is well familiar with every aspect of Paros, consequently we will guide you like professionals. Therefore, we are inspired to show you which places you should visit. We will of course take in our consideration how many days you will stay on Paros Island. 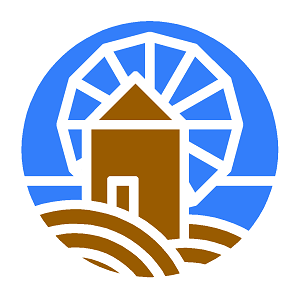 For example beach, attractions, top restaurants in every village, is a sample of with what we can help you with. Escape to hardly describable due to its beauty, Paros island. Choose one of our Paros Luxury hotels for your vacation on our island. Every hotel owner, member of our team will reveal its hospitality and therefore, offer you a peak of what our Paros luxury hotels are all about. Thant is a holiday on Paros island, right out of your dreams. Each member of our staff is familiar with the aspects of our philosophy. Because of this fact it is safe to say that Paros luxury hotels are changing the level of tourism. According to our guest arriving from other islands of Cyclades, Paros is a best place for vacation. Better than other famous island due to the number of visitors. 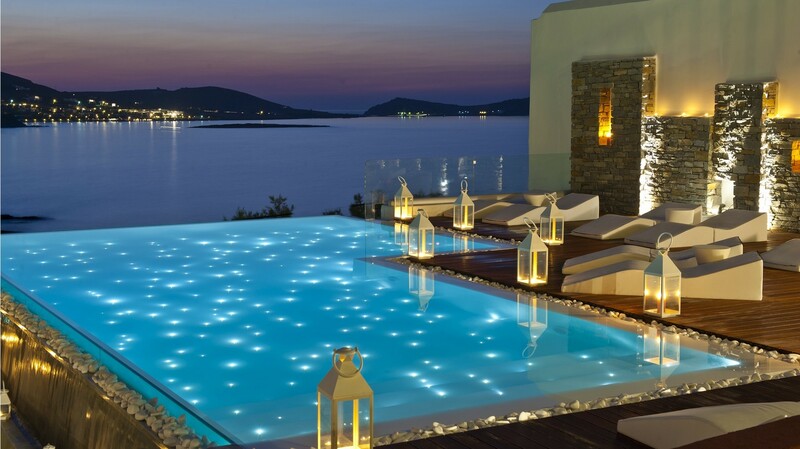 Of course, higher value for money in our paros luxury hotels is always mentioned. Therefore you are invited to spend few days in Paros island and our paros hotels. Allow us to arrange for you a dreamy dinner for you and your significant other. Would you like a transfer to/from one of our hotels, or a car rental? Let us know! You don't have to worry about your ferry tickets. We will take care of it! An adventurous activities for everyone. Let us know in what you are interested in. Find and book amazing villas, in breathtaking locations. Discover our villas, members of Paros Luxury Hotels. Take a culinary journey, using delicious dishes as a guide, made by your chef. 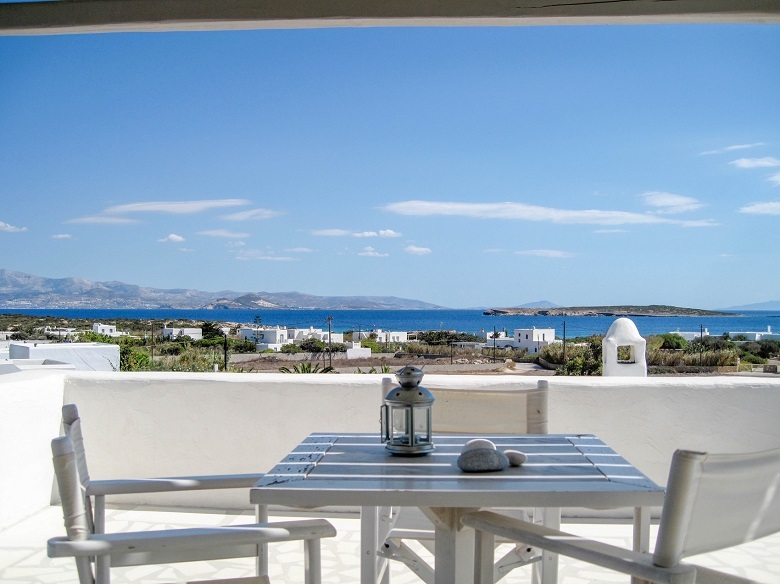 Choose our villas and enjoy customize services in Paros island. Paros island is one of the famous destinations in Greece. 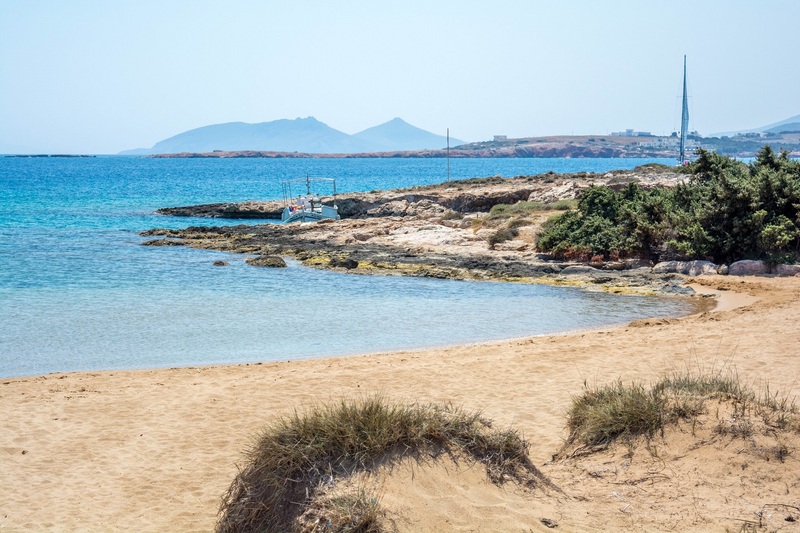 Paros Luxury Hotels, as a group of top accommodations in Paros, will make sure that you will discover all the main attractions and visit the well-known beaches of the island. With many picturesque villages, ancient history, more than 40 beaches and vibrant nightlife, we invite you to explore our island along with Paros Luxury Hotels. We are devoted to Parian hospitality, as well as to luxurious touch in every one of our accommodation. Don’t hesitate to contact us for special offers! Members of Paros Luxury Hotels are situated at well-known locations of Paros island.